Here’s your chance to play baseball this spring for New Jersey’s leader in player development! Eagles Baseball is looking to fill roster openings for our spring 2019 teams for 9U, 10U, 11U, 13U, and 14U players. 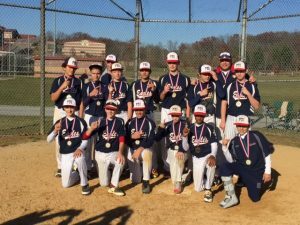 Eagles Baseball teams will compete in the PBI Baseball League 2019 spring season and the Bergen County Charity Classic tournament over the Memorial Day Weekend. CALL TOLL-FREE 800-282-4638 FOR MORE INFORMATION. Where are you playing baseball this summer? Eagles Baseball and Professional Baseball Instruction have a terrific summer lineup for you. COME TO A FREE WORKOUT AT PBI TO SEE WHERE YOU FIT IN! We’re offering two dates – Wednesday May 9th and Wednesday May 16th from 8-9:30 PM (pick one) at Professional Baseball Instruction‘s indoor facility located at 12 Wright Way in Oakland NJ. Call to register – 800-282-4638. 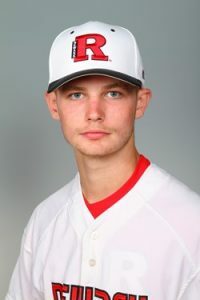 We are thrilled to send congratulations to former Eagles Baseball pitcher Brandon Terrizzi on being named Rookie Pitcher of the Week by the New Jersey Athletic Conference for his part an an 18-4 Rutgers-Newark opening-week win over Penn State-Abington on February 19. Making his first collegiate appearance, Terrizzi threw a scoreless inning of relief for the Scarlet Knights without surrendering a hit while striking out a pair to close out the victory. A graduate of Hawthorne High School, Terrizzi was a strikeout machine for the Bears, at one point punching out 22 batters in just 18.2 innings as a senior, including 10 in a 7-inning complete-game win over Garfield. He was named second team All-County and second team All-Conference while compiling a 6-1 record in his junior year of high school. For more information, call Professional Baseball Instruction TOLL-FREE at 800-282-4638. 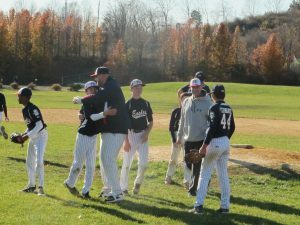 The 14U Eagles scored four times in the top of the seventh inning to pull of an amazing 5-4 come-from-behind victory over the Orange County Thunder in the PBI Baseball League‘s 14U A Division championship game on November 20, 2016. The Eagles took an early 1-0 lead in the top of the second inning on an RBI single by Miles Tweedy. It didn’t take long for Orange County Thunder to answer back, scoring three runs of their own in the bottom of the inning on an RBI single by Oliver Bieling, an RBI-groundout by Aidan Quinn, and a bases-loaded walk by Miguel Ramos. 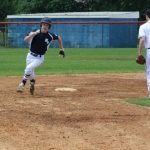 The Eagles scored four runs in the top of the seventh on three hits, two walks and an error. 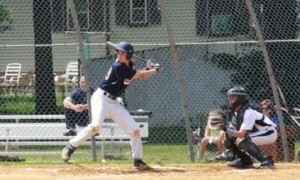 Andrew Cuschieri racked up two RBIs on one hit for the Eagles. Alex Fernandez paced the Eagles at the plate going two-for-three with a run scored. 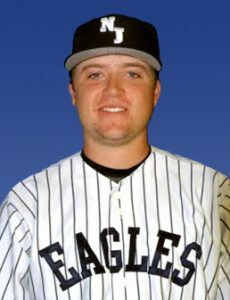 North Jersey Eagles pitcher Ryan Remo has spent nearly his entire baseball life in the Professional Baseball Instruction organization. 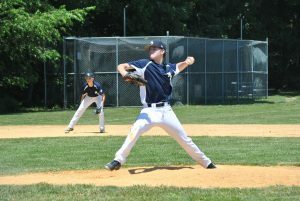 With his dad Jeff Remo installed as one of the longest-serving PBI youth instructors, Remo drew attention from numerous Division I programs as an ace on the baseball school’s 17U North Jersey Eagles summer showcase team. 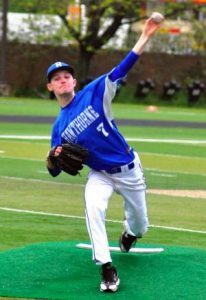 The younger Remo also spent countless hours training and throwing at the PBI indoor facilities under the watchful eye of his father, who doubled as his son’s head coach at Mahwah High School, and Doug Cinnella, PBI’s founder and Remo’s high school pitching coach. 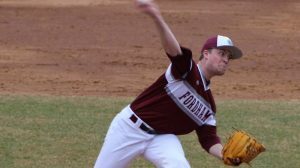 And now, after wrapping up his freshman year as a right-handed pitcher at Fordham University, Remo is playing with the “big-time” North Jersey Eagles club in the Atlantic Collegiate Baseball League. The Mahwah native was unhittable July 9 at Overpeck Park, blanking the Lehigh Valley Catz 6-0 in the nightcap of a doubleheader to record the seven-inning no-hitter. The feat is the first no-no in Remo’s collegiate career and marks the first in the Eagles’ eight-year history. A number of former Eagles players have had outstanding seasons for their respective high school teams. 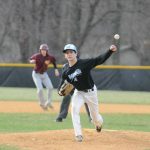 Mahwah High School sophomore Joe Cinnella posted 5 wins for the Thunderbirds this spring and was named 2nd Team All League. Hawthorne Christian Academy sophomore Chris Silos was named 1st Team All League NJIC Patriot Division. 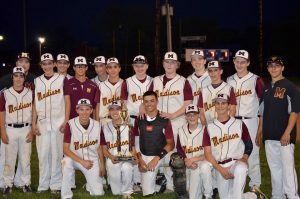 And former Eagles Walter Brownlee, Morgen Bruhn, Andre DelaCruz, Jack Flanagan, Mike May, Matt Monaghan and Peter Samori helped the Madison High School Dodgers beat Delbarton and Morristown High School to win the 2016 Walt Stasiak Freshman Tournament. Great job all around by our former Eagles players! 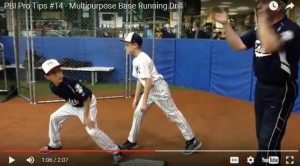 Professional Baseball Instruction has a new video series called “PBI Pro Tips” with drills and coaching tips for players of all ages featuring some of our Eagles coaches and players. Topics include pitching, hitting base running, and fielding tips that can help players perform better. Click here for a full list of videos. Take the next step in your baseball career – play for Eagles Baseball! Professional Baseball Instruction is holding evaluations for players at the 10U, 11U, 12U, 13U & 14U age levels for play in the summer of 2016. Teams will compete in the PBI Baseball League’s summer 2016 season and participate in select tournaments. PBI is located at 107 Pleasant Avenue in Upper Saddle Rive NJ. NOTE – we’re also offering private tryouts on an individual basis. Call us for details. Click on the appropriate age level for complete details. For more information on Professional Baseball Instruction, please check out the Professional Baseball Instruction website. Seems like only yesterday that we were telling you about Ryan Remo who was then in between his junior and senior years at Mahwah High School. Following the end of his high school career, Ryan chose to take an offer from New York City’s Fordham University. Used exclusively in relief in his first 14 starts as a freshman, he made his first collegiate start on April 20 a memorable one. Facing the Lions of Columbia University, Ryan went seven very strong innings, allowing one run on four hits and four walks while striking out a pair in a 4-1 Rams victory. With the win, Ryan evened his record at 2-2 and lowered his ERA by more than a run to 4.07. Eagles Baseball has put together 14U & 15U Elite summer baseball teams for 2015. 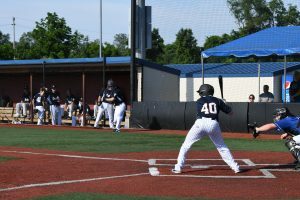 Eagles Baseball has an exciting summer planned for players on our 14U & 15U Elite teams. The 14U team will help prepare those players for the start of their high school seasons in 2016 while the 15U team is designed for players looking to prepare for their 2016 varsity seasons. The 15U team will play in the PBI Baseball League 16U Junior Varsity Division on weekdays in June and July against top area competition and three weekend tournaments against some of the best 15U teams in the northeast. CLICK HERE for full details on the 15U Elite summer team. The 14U team will play an independent schedule of 14-16 games against some of the top club teams in the Bergen, Passaic and Morris area. Additionally, they will participate in two local tournaments. CLICK HERE for full details on the 14U select team.